Xenon high-intensity discharge lamps, or HID’s, and xenon gas-filled lamps are powerful light fixtures commonly used in wide areas where a high level of lighting is needed. Aside from containing xenon, these two have very little in common. A Xenon HID lamp (high-intensity discharge) is an electrical gas-discharge lamp. It produces light primarily with the help of the noble gas xenon and metal salts. An electric arc is created between the tungsten electrodes contained in an arc tube, which is the light-producing element. This transparent tube contains the xenon gas which kickstarts the arc’s initial strike when high voltage is applied. Once started, metal salts in the arc tube heat up and evaporate to become plasma. This plasma intensifies the light created by the arc while reducing its power requirement. Xenon HID lamps are several times brighter than ordinary halogen lamps. They produce light that closely mimics the intensity of sunlight. HID lamps of this variety are often used in movie projectors, stadiums, and parks. 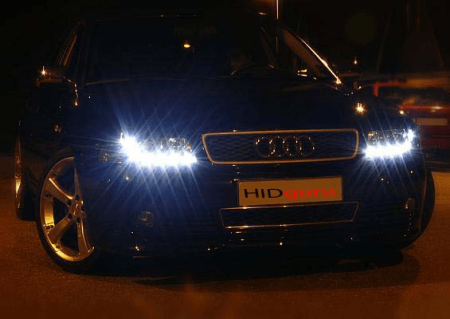 Xenon HID bulbs are used in vehicle headlights which are known to last for the life of the car. They have replaced taxi and landing lights on airplanes. High voltages are needed to activate a Xenon HID bulb. There is also a large amount of pressure involved in operating a bulb like this, thus it can pose a safety hazard if its enclosure is compromised. A xenon HID lamp wears out faster when it gets turned on and off frequently, and not because of how long it is used. Thus, the life of a xenon HID lamp can be extended by not a turning it on if it has just been turned off. 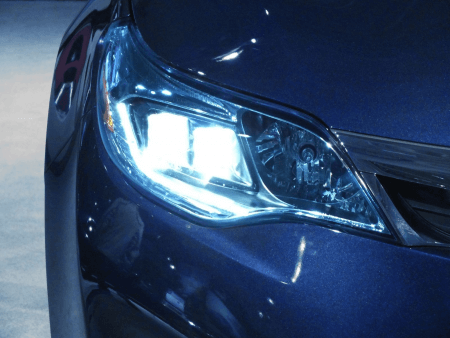 So what’s the difference between a xenon HID lamp and a xenon gas-filled lamp? Xenon HID lamps are electric gas-discharge lamps that contain xenon, a noble gas which ignites when applied with high pressure. On the other hand, xenon gas-filled bulbs are basically halogen lamps made to imitate a xenon HID bulb. Tungsten electrodes are the lighting elements in a xenon HID bulb that produce a very bright, ice blue/white light. A tungsten filament serves as the lighting element in a xenon bulb. Top-shelf xenon HID bulbs are known to last for the life of the car, while xenon gas bulbs only have a 6-month life span.